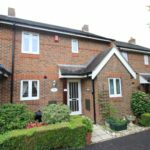 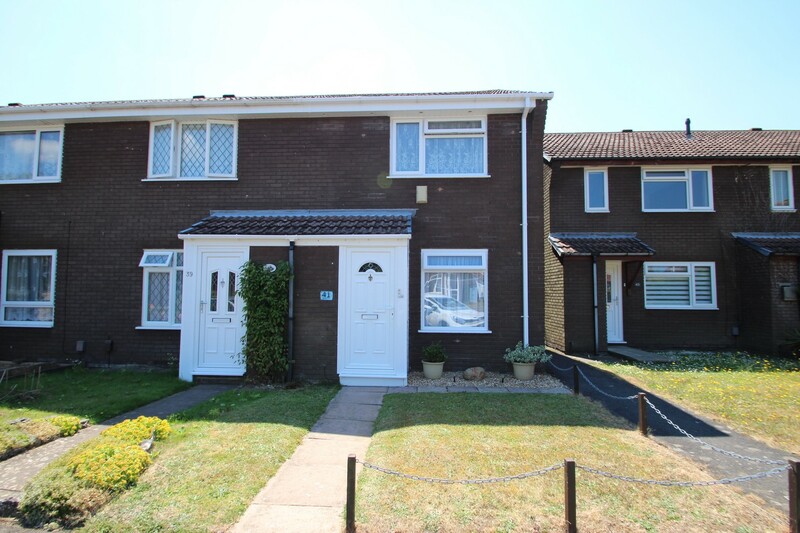 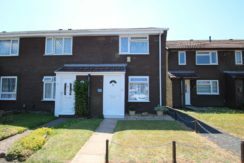 Presented in good order throughout and benefitting from a large UPVC conservatory, a 2 double bedroom house situated in a popular position which is in a short stroll to woodland walks. 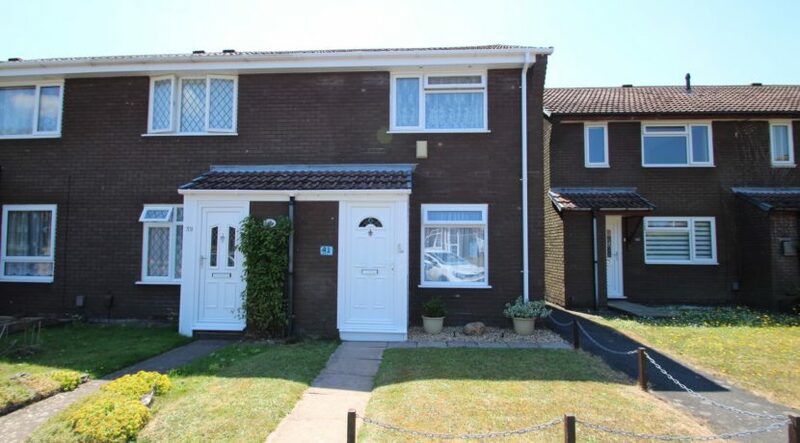 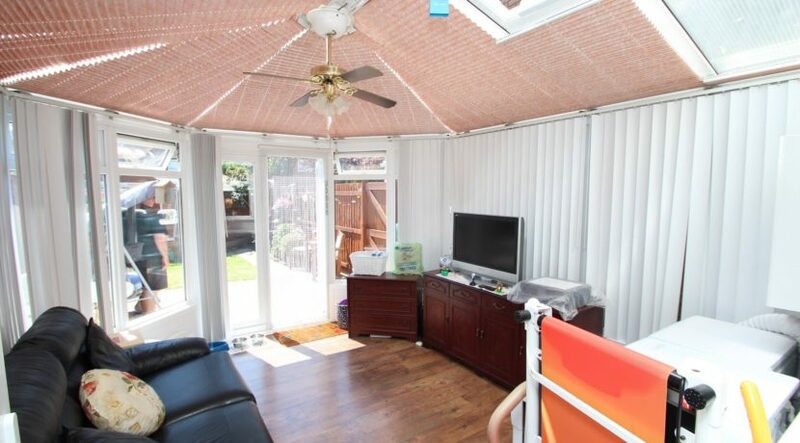 A UPVC double glazed door leads into an enclosed entrance porch which has a good size storage cupboard and a further double glazed door leads into the living room. 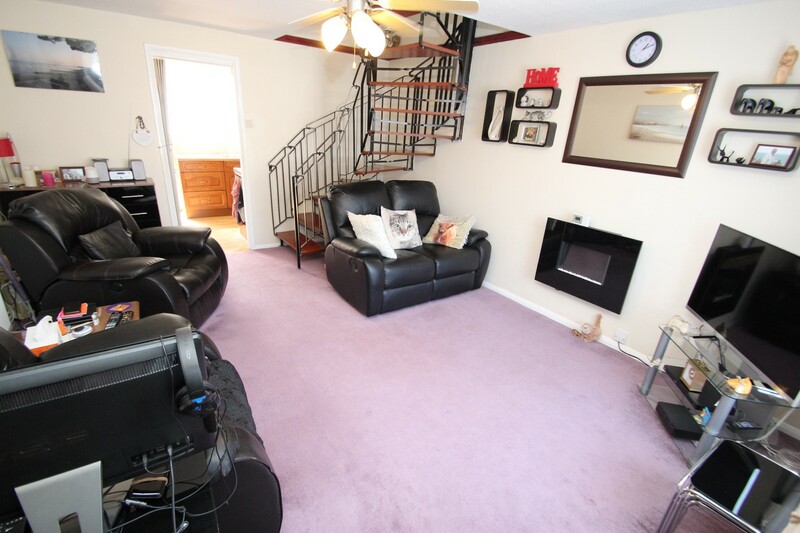 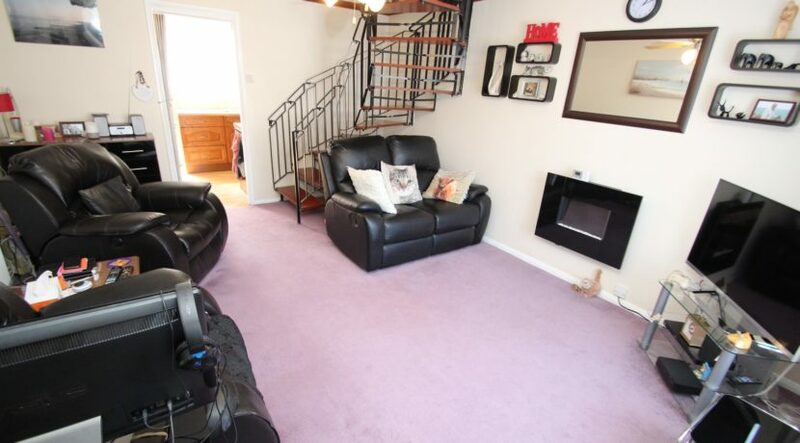 The living room is of a good size, has a modern, wall mounted electric fire, spiral stairs lead up to the first floor, access through to the kitchen is from the living room. 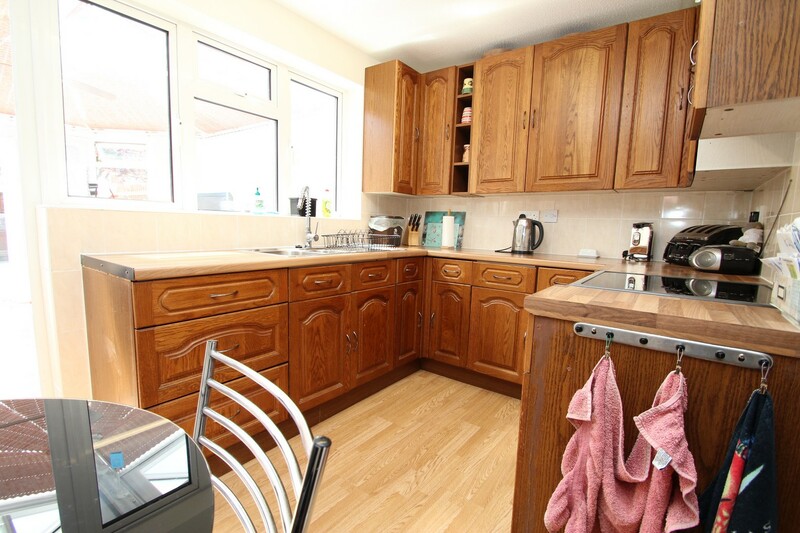 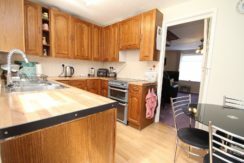 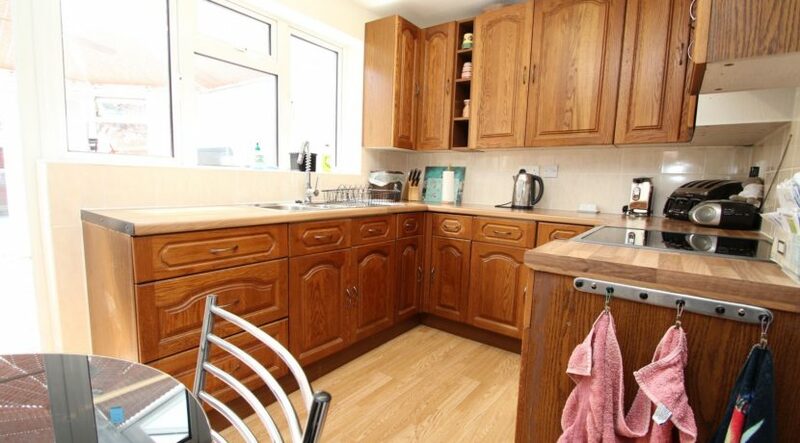 The kitchen has a good range of wall mounted and floor standing units which are surmounted by roll top work surfaces, there’s an inset one and a half bowl sink unit with mixer taps and a side drainer, space for a cooker, space for a tall fridge / freezer, access through to the conservatory can be obtained via a UPVC double glazed door. 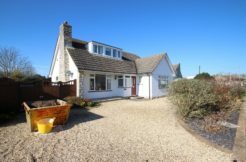 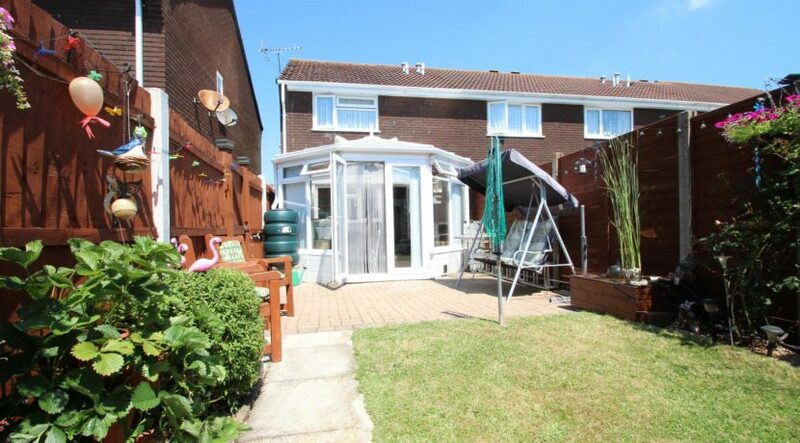 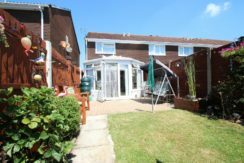 A superb addition to this wonderful home is a magnificent conservatory which is of UPVC construction, has a pitched roof with electronically operated openers, the conservatory benefits from GFCH and has double opening casement doors which lead out to the sunny rear garden. 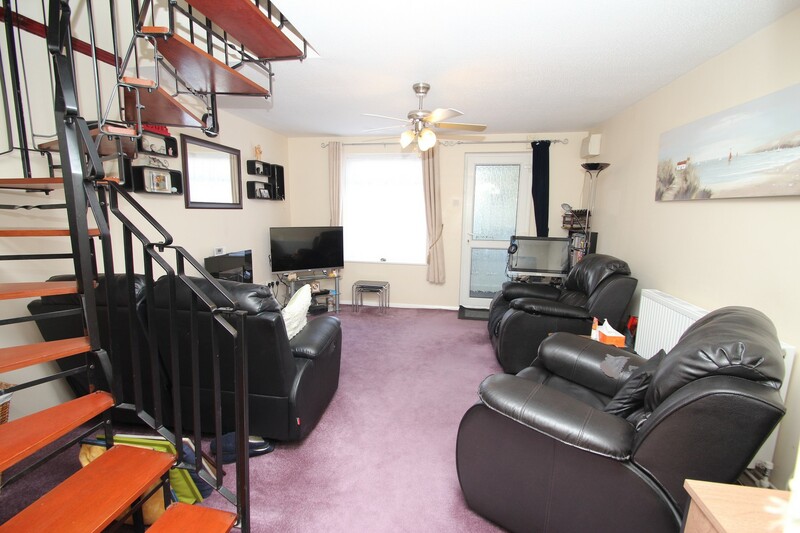 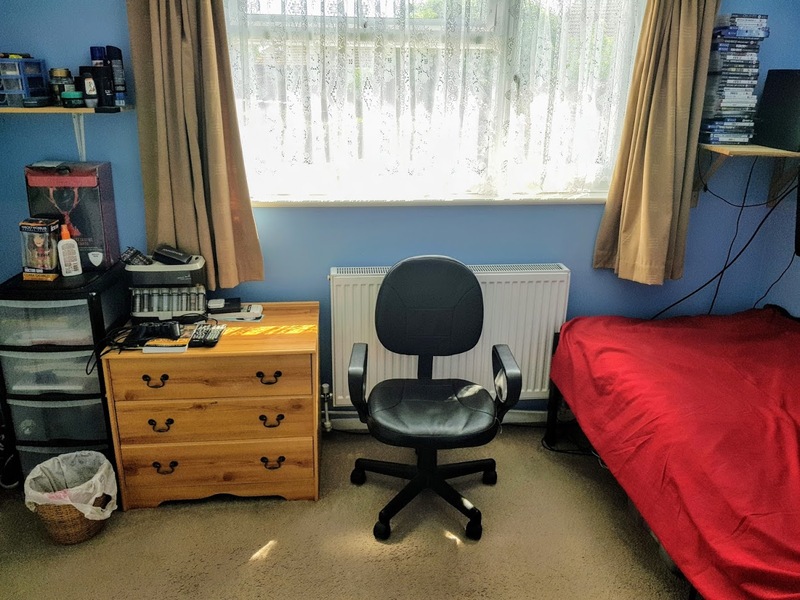 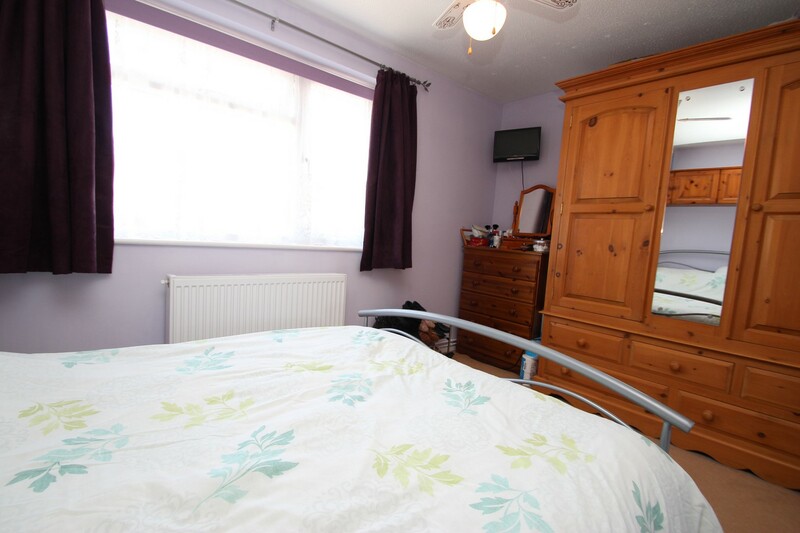 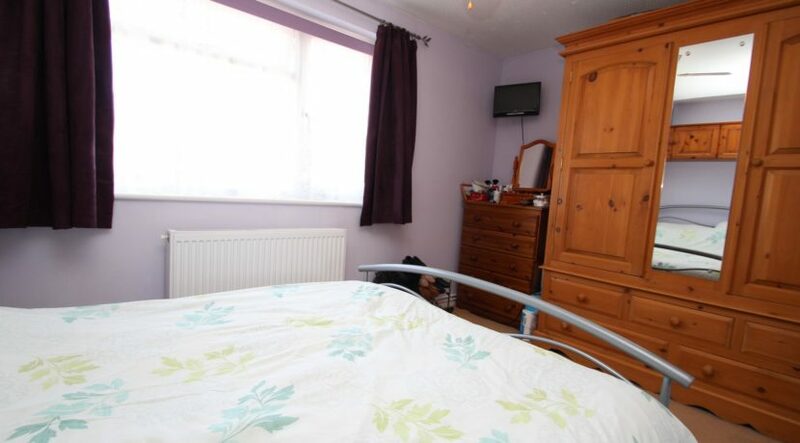 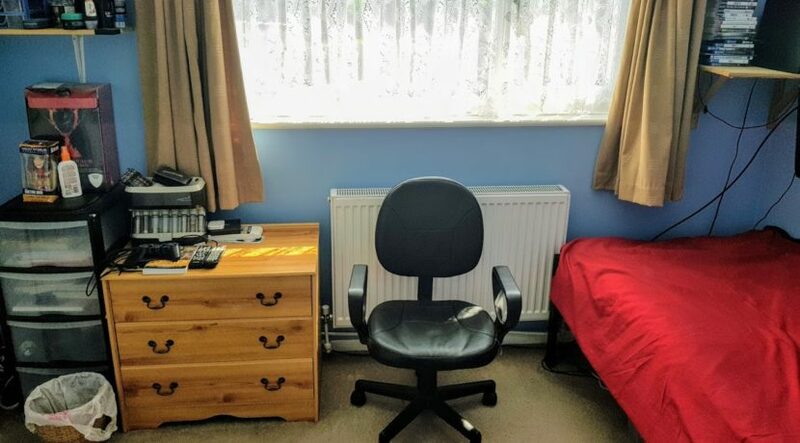 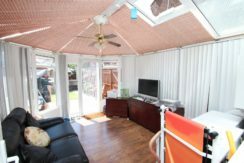 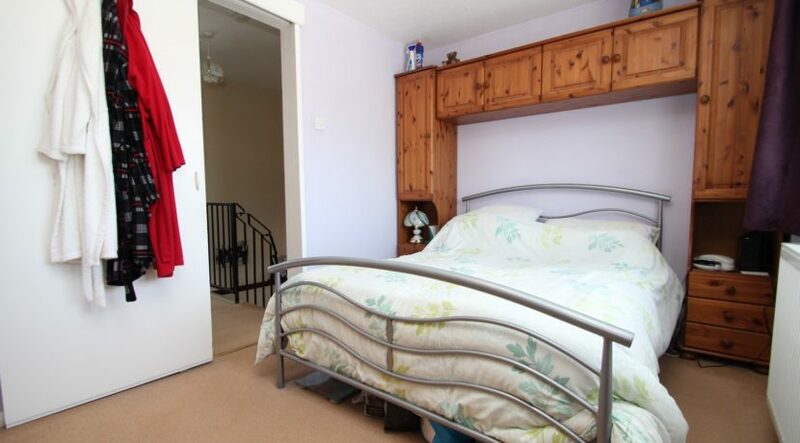 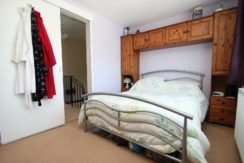 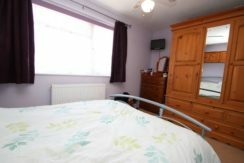 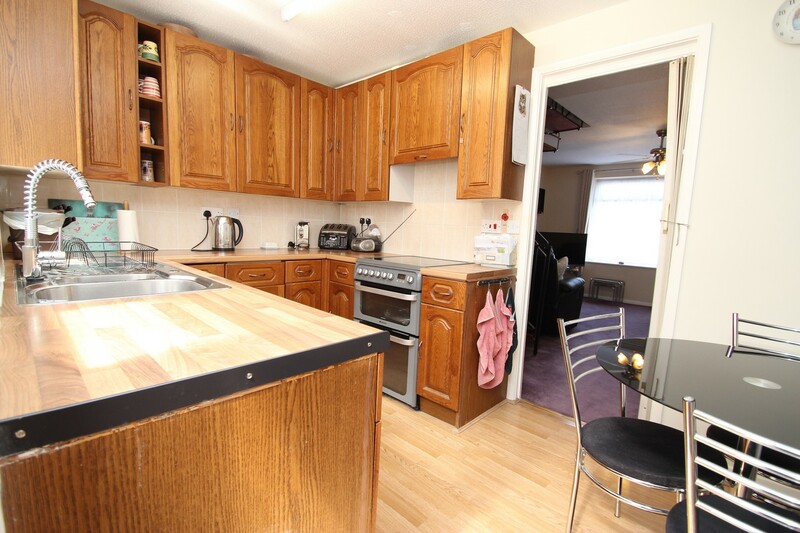 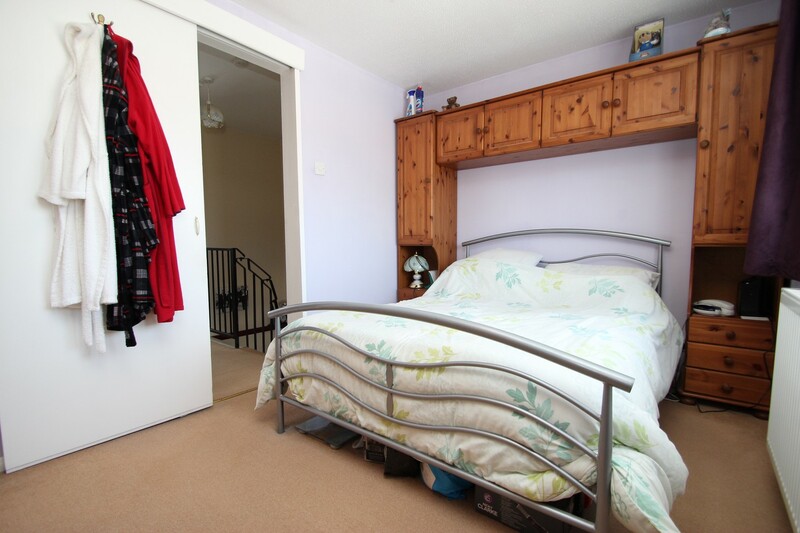 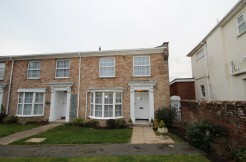 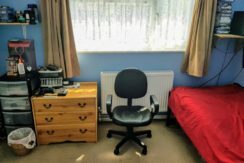 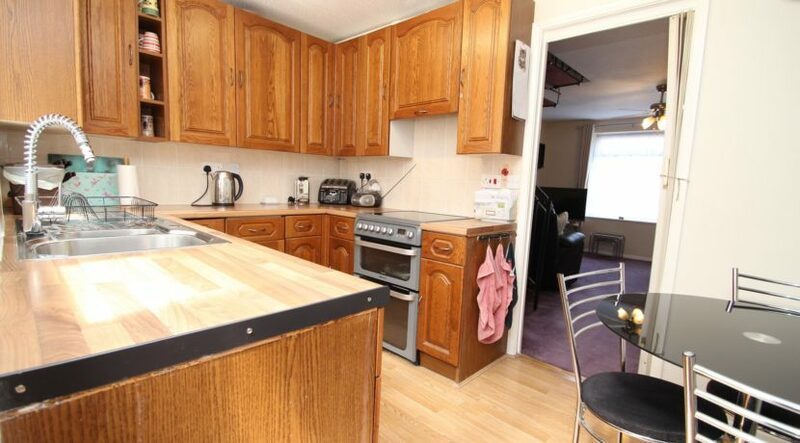 Both bedrooms are double rooms with bedroom 2 having a built in storage cupboard. 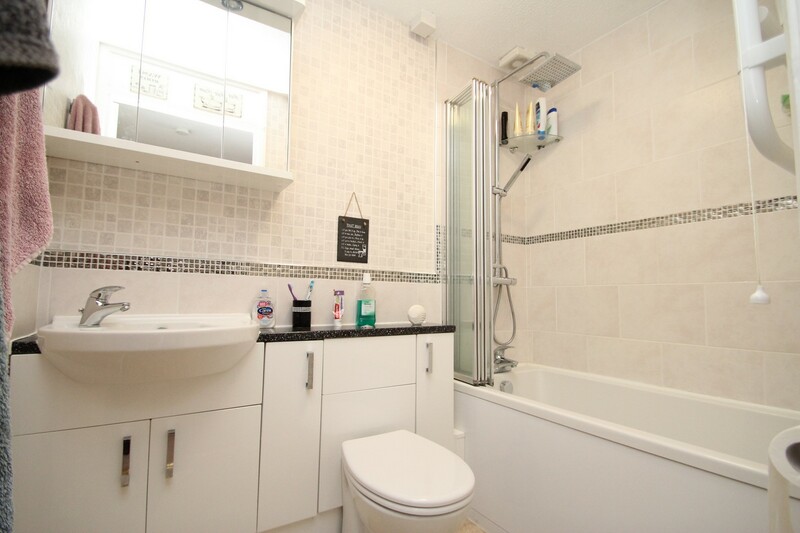 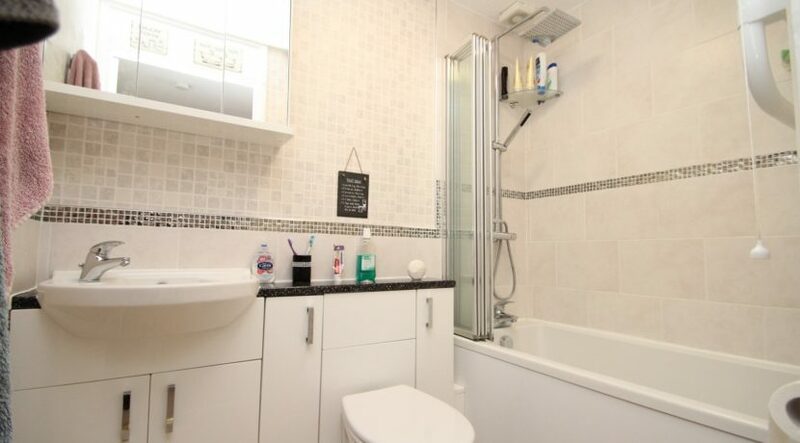 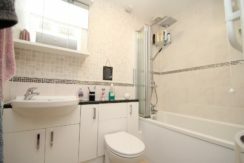 The bathroom is beautifully fitted with modern fitments throughout. 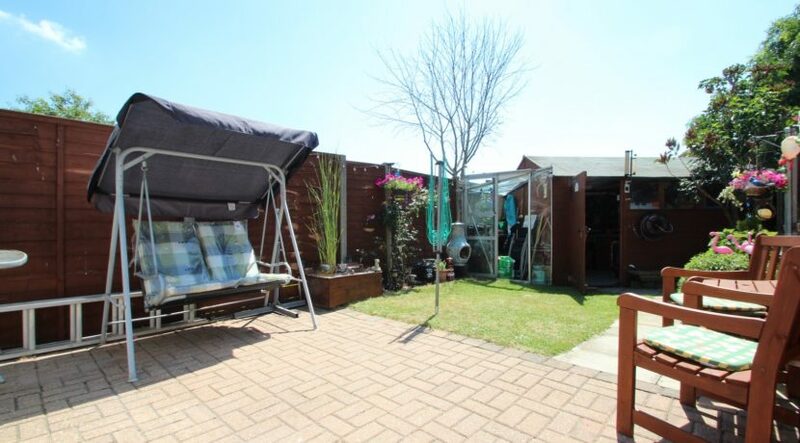 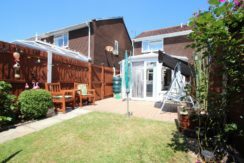 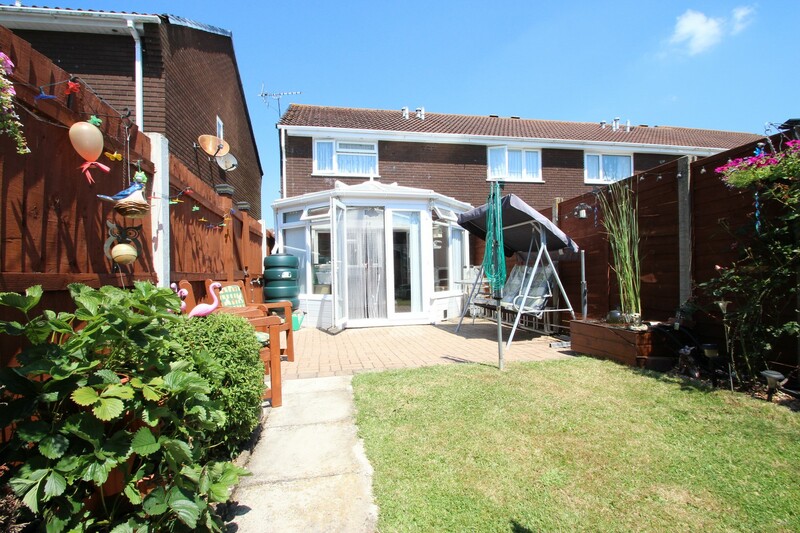 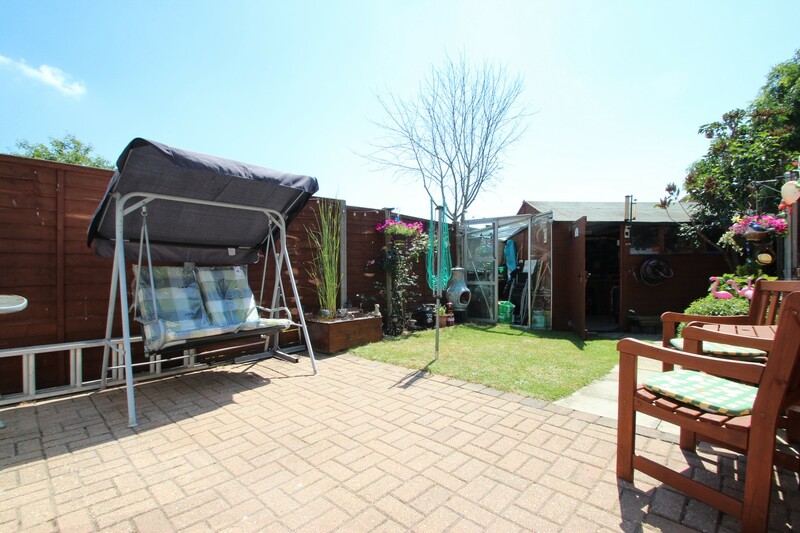 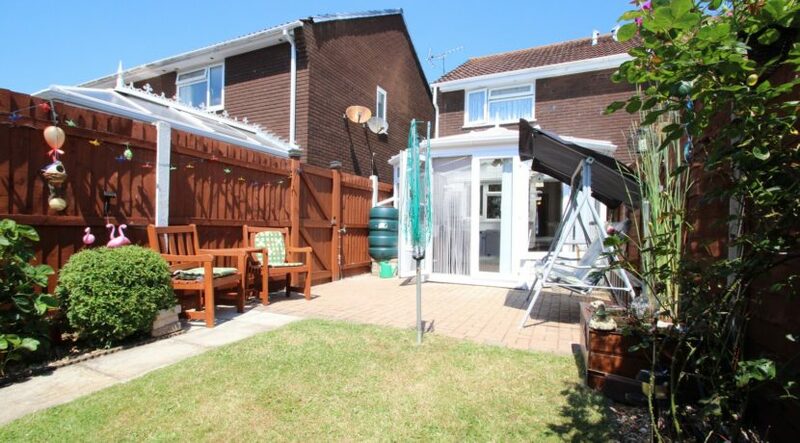 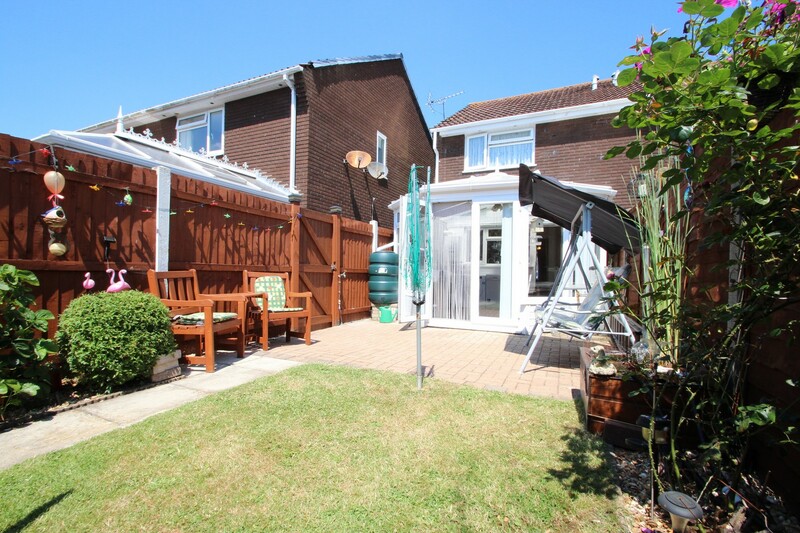 The rear garden enjoys a sunny southerly aspect with a good size patio area leading from the conservatory, the garden is laid to lawn with borders that display a colourful variety of plants. A large timber built shed / workshop can be found to the bottom of the garden which has power, light and rear access out to the allocated parking. 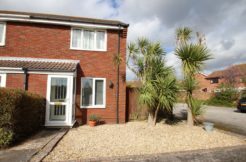 The front garden has been laid to lawn. 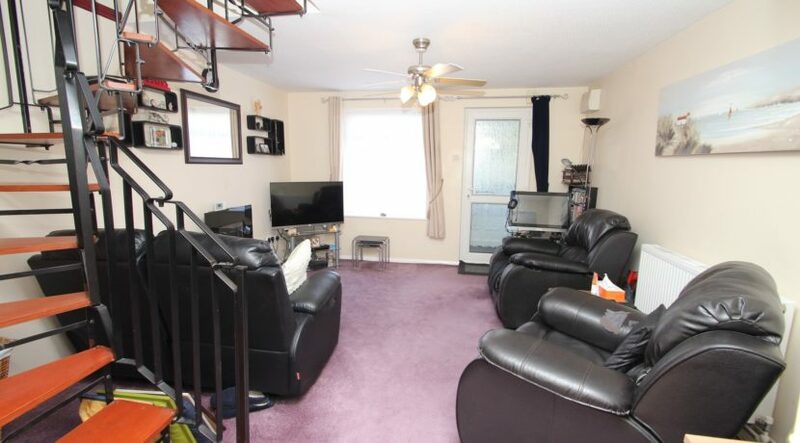 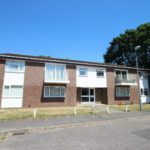 An allocated parking space is conveyed with this property.